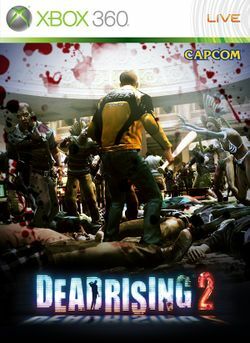 Dead Rising 2 is a survival horror video game with action adventure and RPG elements, and is the sequel to Dead Rising. The game was developed by Blue Castle Games alongside former Dead Rising team members, including Keiji Inafune, and published by Capcom. The game is available for the PlayStation 3, Xbox 360, and Windows. The game is set a few years after the events of the original Dead Rising. The zombie virus that originated in Santa Cabeza has spread all over the United States. The game will take place in the fictional city of Fortune City, which is modeled after the real-life city of Las Vegas, Nevada. Chuck Greene, a former national motocross champion, is somehow caught in the middle of the zombie apocalypse on Fortune City. Just like Frank West (the previous hero from the original Dead Rising), Chuck must survive through every zombie horde he gets into as well as psychopathic civilians and rescue surviving ones. Among the survivors is Chuck's own daughter, which serves as his primary motivation for battling the undead.